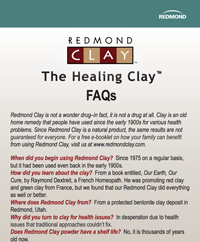 Redmond is Clay comes from an unusual deposit, high in both sodium and calcium, which give the clay a unique combination of properties. It has a strong pulling capacity, which helps draw bacteria out of the body, and it has a high swelling capacity, which helps it bind more effectively to toxins internally. It is known as the thousand uses clay. 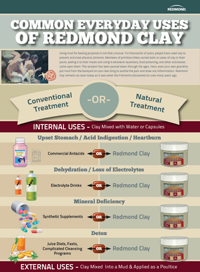 Redmond Clay is one of my go to remedies, so this page is dedicated to learning all about what it is, how it works and how to use it. 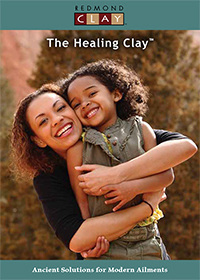 You can purchase Redmond Clay products from Amazon, The Redmond Clay product website, or check your local health food store. ​*I am not affiliated with Real salt or the Redmond company, I just really love their products.